← Do crows reduce other songbirds? In general, I find that crow people are lovely, and easy to get along with folk. There are, however, two widely shared images that have proven themselves an effective trigger to turn an otherwise gentle corvid lover into a foaming at the mouth fact checker. I say that as someone who has found themselves on the foaming end of that equation over some social media perpetuated misinformation on many occasions. In the wealth of silly nonsense posts a person could manufacture on corvids, why these are the two images that have become so ubiquitous on social media is a mystery to me. Maybe it’s because people genuinely enjoy the narratives they offer, or have no reason to be suspicious of the images because they’re just beginning to learn about crow biology. Or maybe some people know exactly what they’re doing and are just trolling to, ahem, ruffle a few feathers. Either way, consider the following two images debunked. So rest easy fellow fact checkers, until of course you see them posted again. Probably tomorrow. These are not baby crows. I blame this one on BuzzFeed. 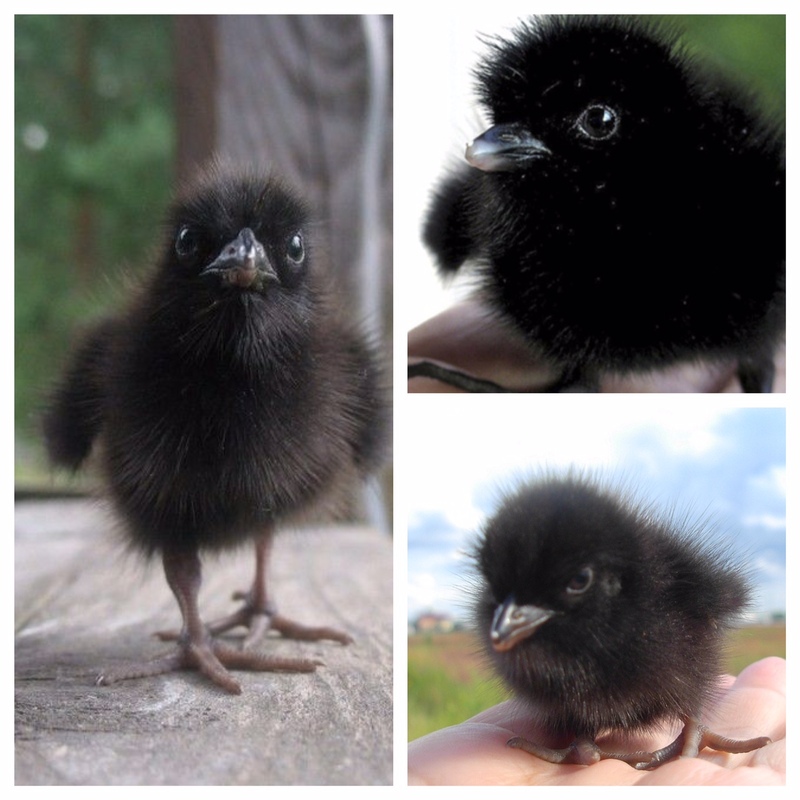 In what was trying to be a cool post on crows, but really turned out to be just riddled with terrible photo choices, they start off with one of these pictures as evidence for how cute baby crows are (despite photos of very obviously different looking actual baby crow further down the in the same post!). Since BuzzFeed ranks one of the more trafficked sites on the internet, searching “baby crow” brings up the photo attached to the story. Fact: Those cute fluffy babies are actually a variety of baby rails, including a corncrake. Notice how feathery and soft they look, like a baby duck or chicken? That’s because there are basically two strategies for how young are born. They can be altricial, which means you’re born naked and blind (i.e helpless) or precocial, which means you’re born fully feathered or furred and are ready to go from day one. Fun fact, most birds that are ground-nesters, so game birds, waterbirds, etc., are born feathered and adorable. Whereas most birds born in arboreal nests are little naked jelly beans. Crows, fall into the latter category as anyone who studies crows, rehabs crows, or curiously peeked into a crow nest can attest to. I have no hypothesis as to where this came from or how it generated such momentum on social media, other than that it’s dramatic and offers a kind of ‘misery loves company’ on a crumby day. Fact: Leucism, which is what this is, is pretty common in crows and ravens (check out this post if you want to learn more about the causes). Not to this degree, of course, but even a complete leucistic like this are not unheard of. Although life is certainly a bit harder for them (they’re a little more conspicuous, leucism is often nested in other health problems, etc.) the suggestion that they’re eaten by their mothers is nonsense. They are however, generally subordinate to regularly colored ravens which is maybe the kernel of truth that this originates from. I like crows, but I don’t think about them much. They seem to manage their lives very well. Thank you!!! It took me a little worktop find this articlebut, as a corbid lover but not scholar, it was worth the search! 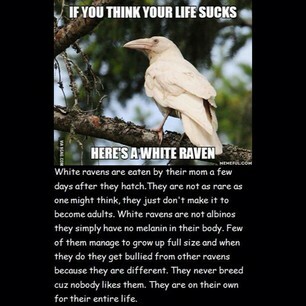 I posted the white raven thing and then thought better of it. Thank you for helping me get better information! So glad you found it informative Lisa. Feel free to refer back to me with future questions, or suggestion for new things to add to that post! 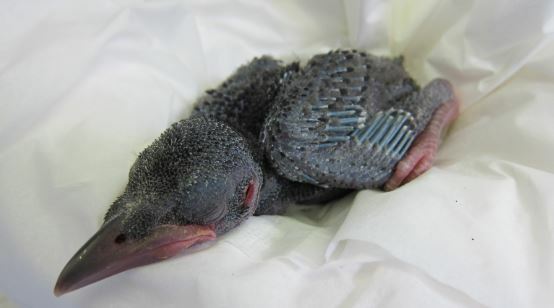 but there are baby crows, this just isn’t one of them.